#824 - Full length mirror . NEW! 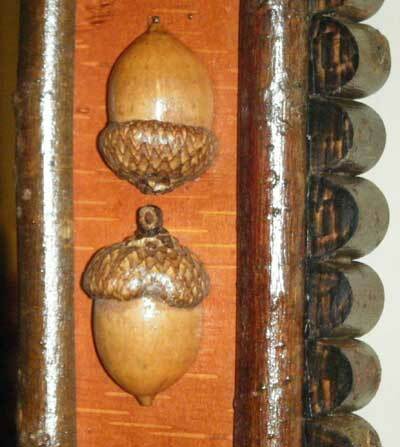 #825 - Mirror with acorn border. NEW! 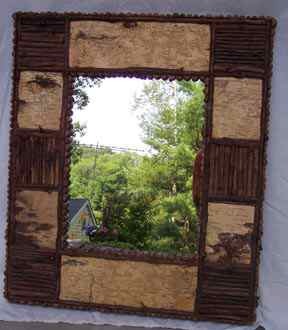 #744 - Sofa mirror with alternating brown & white birch bark & willow trim. 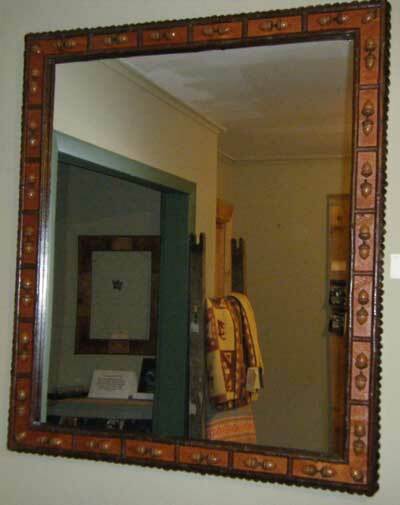 Beveled mirror. 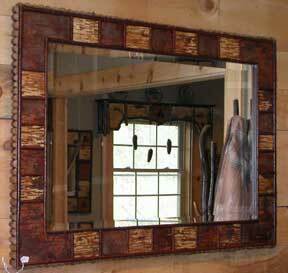 #699 mirror 30" x 26" $395 - SOLD! 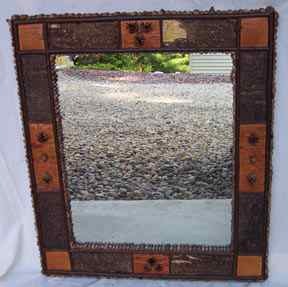 #700 mirror 29" x 26" $395 - SOLD!